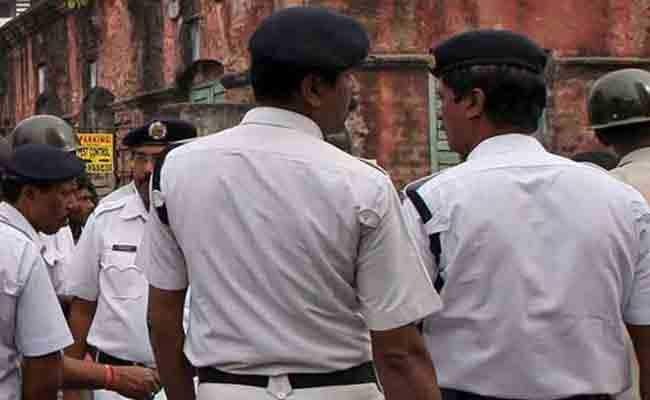 Three persons were arrested for allegedly sexually harassing a woman while she was travelling in a bus in Kolkata’s Pragati Maidan area late on Saturday night, police said on Sunday. The incident happened at around 10 pm on Saturday, when police heard a woman’s cry for help and stopped a private bus passing through the EM Bypass in the Pragati Maidan Police Station limits, a Kolkata Police official said. Police found that a group of men were having an altercation with a woman, who was screaming for help, the police official said. “They were hurling verbal abuses and were making lewd comments aimed at the woman while she was screaming for help. She was travelling from Malancha to Howrah. These men started making lewd gestures and comments after the bus reached Ghatakpur when passengers were few. When the bus driver and the conductor did not react, the woman started protesting,” he said. “The victim also takes the bus quite frequently and these men have targeted her for quite sometime. Last night, they were asking for the woman”s phone number and trying to befriend her,” the officer said. The trio tried to flee but the police caught them and finally arrested them on the basis of the complaint lodged by the victim, he said.